Bible Creation Revealed! Pt 4 – The World that Was PT 2! (Ver 1.1) This is now Part 4 of a series of advanced Bible study lessons about the creation timeline using God’s perspectives. If you have not been reading this series from the beginning I would recommend that you go and start with “Part 1“. In my last blog I introduced you to the “World that Was”. There are numerous Bible verses when viewed correctly, that reveal to us a civilization on our planet that was completely destroyed by God. This previous world system helps to explain the age of the universe, dinosaurs, and other factors that science conflict with what some Christians seem to teach about creation. You cannot look at a star in the night sky and say that it is only 6000 years old. It took significantly longer than that for the light from that star to reach where we are so that we can see it. Astronomers and scientist using radio telescopes, the Hubble telescope and other methods can look out into space and can view things that occurred millions, even billions of years ago. I have heard some Bible teachers claim that God only created things with the appearance of age. In other words they were saying God was a deceiver of mankind. Create a world that looks really old but call it new. Is this what your God would do? Does this fit the character of God’s integrity? I do not think so! So we have to put the pieces of the puzzle together correctly to see what God reveals to us about creation in the Bible and that is what I have been trying to do. 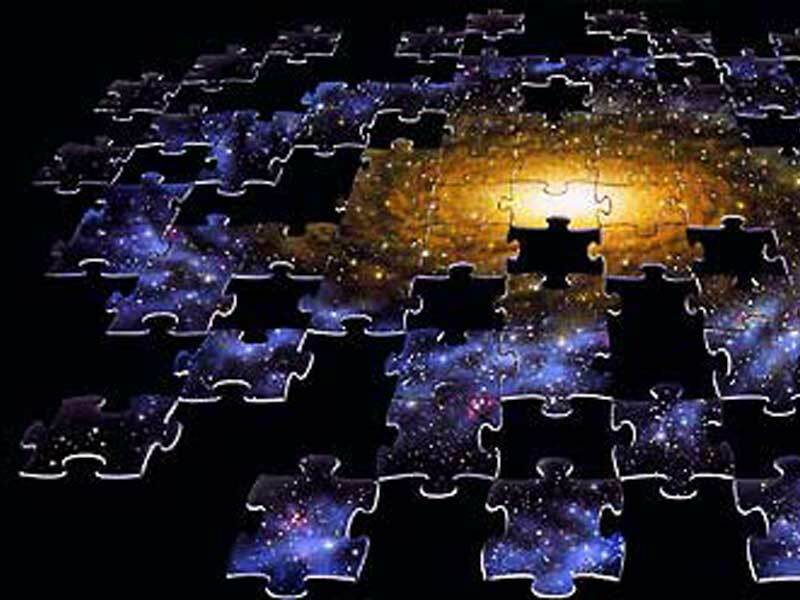 I am attempting to put the puzzle pieces given to us in the Bible to discover the truth of creation. You have to be blind not to see that God is telling us that we are living in a temporary world system right now that is not going to be the same world system in the future. 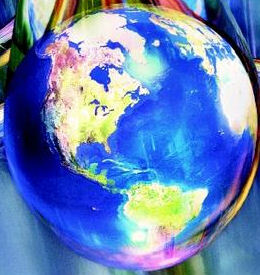 God will implement a change and recreate the world system. God calls this a new heaven and a new earth in Revelation. If there will be a new heaven and a new earth and a new world system that is to come, you have to admit that it is at least possible that there existed an older world prior to our current world also. Here is one more verse that speaks of a world to come. This is the same Greek word translated in other places as “world”. It speaks of a coming time where God will bless those who are in Christ Jesus. We have seen several verses now that imply there is or was more than one world created by the Words of God. In this verse in Hebrews 1:2 we can again see a reference to us being in the last days of our current world. We can also see that Jesus created this world. But, since the word for “worlds” is plural in the KJV Bible as it should be, we can understand that not only is there another world that will come in the future by the Word of God, we also know that there was a previous world that was also created by the Word of God in the beginning. I believe I gave this verse earlier, but I want to emphasize the plurality of the word “worlds” in this verse. Some might try to say that this is only speaking of our solar system and the other solar systems in the universe and that is the plurality. That is an interesting misinterpretation of this Greek word. If you recall there are two words translated as “world” in the New Testament. One meaning an “orderly arrangement” and the other meaning an “age”. This word in Hebrew 11:3 means “ages”. As in multiple slices of time. We are living in a current world age, there is a coming world age and we have clearly seen that there was previous world age before Genesis 1:2. Let’s analyze the first part of this verse. It declares that God is speaking about a spiritual “fallen” being named Lucifer. The Hebrew word for “fallen” means “to cast down”, “to perish”, “to overthrow”, and “to die”. We can clearly see that something happened to bring Lucifer down. This Hebrew word for Lucifer is also a fascinating word with a specific and direct meaning. It implies “brightness” like the sun. It also has the literal meaning of “the morning star”. The morning star is not Venus or some other bright star like object in the night sky. The “morning star” is our sun that rises in the morning. This is a very significant name and title. This verse calls Satan the “son of the morning”. I hope that you understand that the word “morning” means “early light”. God is giving us a very significant clue to the identity of Satan. God is calling him his son. We know in the New Testament that it declares that God is Light! So being called the son of the “early light” implies a son of God from a very long time ago. This verse has direct implications of being a long time ago by the word “early”. This implies “first light” or the time when light begins to form in the sky before the actual sun rises. If you have ever witnessed the sun rise, you can learn a very important lesson to what God is telling us about Satan. Satan was one of the first, if not the first creatures created by God. He would have been the equivalent to Adam the first creature of our world. Lucifer would have been a pattern or a model of Jesus that was to come. If you search your Bible you will find that Jesus gives us the same information in the book of Revelation for the name of Lucifer. Jesus informs us in Rev 22:16 that He is the true “Bright Morning Star” because He is the root and offspring of David. What Lucifer use to be, is what I really am, says Jesus. This verse in Hebrews is an interesting contradiction to what I just said or is it? If you look closely at this verse God is speaking about angels. We know that Lucifer was the chief angel. So God is making and demonstrating a major difference between angels and His Son Jesus Christ. God did not become a natural Father to any creature except to Jesus. Because of the virgin birth of Jesus, Jesus has become the only son of God born of a natural woman. This makes Jesus radically different from Lucifer doesn’t it? Lucifer was never born naturally, so while he was a spiritual son of God, he was never a natural son of God. Jesus was both a spiritual and natural son of God and this makes Jesus the true “morning star”. For this reason Jesus Christ came to the earth, to undo the works of the devil. What works were these that caused God himself to come to earth to undo what had already been done? That is an amazing question to ponder. This verse in 1 John tells us that Satan had been sinning from the beginning. Now that we have seen evidence for another world system that Satan caused to be destroyed, we can begin to understand why God created another new world system and came to earth personally to make sure it worked this time. So we can assume that Satan was sinning from the beginning of time and not just from the foundation of the current world. We must begin to understand that these two events are different times and different worlds. A primitive root; to tear down: – beat down, break down (out), cast down, destroy, overthrow, pull down, throw down. Isn’t that what God said to Lucifer? How are thou “fallen”. In this word it clearly means someone destroyed these cities intentionally. They were leveled as if they had never existed. God declares that He was extremely angry and this is why that world was destroyed. Because of the sin and ungodliness that existed in that time God had to destroy it. In the next verse, God is still speaking of the time before Adam and says that world was completely destroyed and perished. The Hebrew word for “full end” can mean “completeness”. What God is saying is that just because that world perished, it was the not the end of all time. There was more to come, a new world that Adam would be given. All of these statements were given to us as clues to what happened in Genesis 1:2 before Adam was put on this planet. God specifically speaks of a destruction that occurred that caused the world to be “void” and “without form”. These are the descriptive terms given to us and they help us to see that these verses in Isaiah and Jeremiah are God’s commentary on the Bible creation account found in Genesis 1. Because many people do not understand how God wrote the Bible, they do not know how to look for the hidden clues in the Bible. The Bible is not in chronological order, nor does it have all information on any given subject in any one location or book. God spread out clues in the Bible in widely dispersed random patterns, hiding them in and around verses that are not always related. God can jump from one subject to another subject using a wide perspective of time periods, people, natural vs. spiritual things, places and many other ways that He has used to conceal information from his enemies. So all that I have been trying to do is to read the clues found in the Bible and put them together logically to help us understand what God is really saying. It involves work, research, study and a major effort to find all of these verses and then additional effort to understand them and put them together correctly. I know it is not easy to see, I know it can be taken other ways, I know there are many other possible interpretations, I know you can believe what you want to despite what I said. God will always allow people to be wrong. So I have presented a new perspective and at least given to you some new things to think about and to consider. I pray that you will study to show yourself approved unto God and not rely on me to do your Bible study for you. There are still many questions that come to my mind about this world that God describes as being before our world. Here are some of my questions, maybe you can come up with some others. Why didn’t God come to the earth and offer salvation to that world? Who were these multitudes of earth inhabitants that perished? Angels? Did they all go to heaven after God destroyed this world? If the Bible says that death came by Adam, how could this world be destroyed and animals, birds and all the other creatures, plants and living organisms all have died? Why couldn’t God just throw Satan into Hell with his followers before He created our world? Jesus Christ is speaking and calls himself the beginning and the ending of all things. The Lord that is, that was and the Lord which is to come. We can again clearly see the significance to three different and separate worlds mentioned in this verse. It says within the realm of time, Jesus existed in the world that now is, the world that was and the world that will be coming in the future. The Bible has many verses like this all over it, if you can find them and relate them to the subject. I never try to provide every scripture reference to a subject that I teach, that would be a very difficult task for anyone to do. So I try to provide at least two or three good references to help establish every word that I teach from the Bible. By doing this we can be assured that it is correct and then can go and try to find other confirming verses. If you know of other verses that I did not include I would be happy to hear about them. God Bless. Bible Creation Revealed! Pt 3 – Introduction to the World that Was! It is interesting to note how God reveals little clues about creation in randomly dispersed patterns in the Bible. In this verse it declares that we are living within the “last days” of God’s timeline for His current organized world system. These “days” of course could be figurative or symbolic words that are referring us to something else of much greater significance. I do not believe they are literal 24 hour days, do you? I have spent many hours studying this subject and I do believe that these days are symbolical representations for two 1000 year time periods. The phrase “last days” in the Bible is almost always referring to the last 2000 years of the allotted time given to the church. It might help you to see this by studying Genesis chapter 1 very closely and recognizing what happened on each day of creation. During this time period of these 6 days of creation, God does specific things on specific days and these events are all prophetic works of God that are symbolic of spiritual things that occur within our human history. According to the Bible God gives us another clue when He tells us that a “day” to the Lord is as a “1000” years and a “1000” years is even as 1 “day” (2 Peter 3:8). 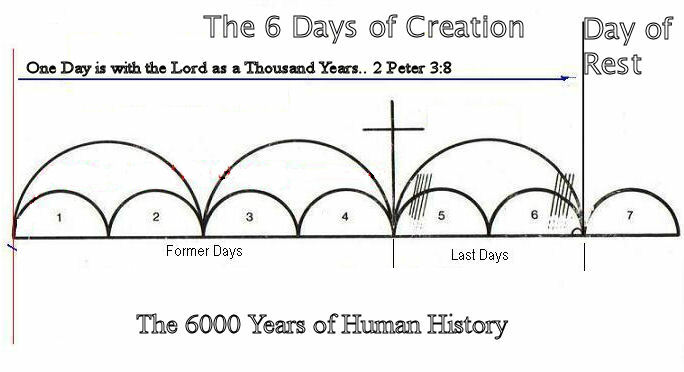 So when God tells us we are in the last days of time we can conclude that out of the 6 days of time given to man, the first two days represent a specific beginning period of time where there was no law and great sin. The middle two days would represent another time period dedicated to the Old Covenant and God’s Law. Finally the last two days would represent the end of the symbolic 6 days of creation and the New Covenant of God with the church when man finally comes to maturity in the spiritual realm. This 6000 year time period of recorded Bible history, is why many Christian have been taught that the universe is only that old. But, we need to see more in the Bible in order to make sure that is correct. This is God’s response to these critics that say nothing has ever changed since the beginning of creation. God declares to us that there was a world prior to our world that was destroyed and covered with water. The net result of this covering was the complete destruction of this previous organized system. Remember that the Greek word kosmos translated as “world” means “an organized system” or “an orderly arrangement”. The Greek word translated as “then was” means “at that time”. We can clearly see that God tells us that time existed when this total destruction occurred. So sometime after the creation of the earth and before Genesis 1:2, there existed an organized world system that was completely destroyed by water. Many Bible teachers have attempted to explain this verse away calling it just Noah’s flood, but that cannot be so easily accepted as the truth, if you study the exact Greek wording very carefully. The Greek word translated as “perish” in this verse means “to destroy fully”. It literally means that this world being described was completely and utterly lost with no survivors. Meaning there were NONE as in NOT ANY living creatures that existed after this flood event or anything that was saved from the destruction. There is absolutely no way that we can make this fit the flood that occured during the time of Noah! Noah and his family were all saved (8 people in total) and they were all survivors of that flood. Plus all of the animals on the ark also survived that flood. After Noah’s flood God did not have to recreate any new trees or plants either. Everything that was there before the flood of Noah came back as if nothing happened after the flood of Noah. There was no utter destruction of the earth as described in this verse that speaks of the universal devestation of everything. Go and reread Genesis 7 the flood account of Noah and see nowhere does God speak of utter or complete destruction. God said in Genesis 7 that He would destroy the flesh of the earth, but this was not all-inclusive since God did not have to create any new flesh after the flood ended. Isa 45:18 For thus saith the LORD that created the heavens; God himself that formed the earth and made it; he hath established it, he created it not in vain, he formed it to be inhabited: I am the LORD; and there is none else. From an unused root meaning to lie waste; a desolation (of surface), that is, desert; figuratively a worthless thing; adverbially in vain: – confusion, empty place, without form, nothing, (thing of) nought, vain, vanity, waste, wilderness. This is a very strong word and leaves little to the imagination. This word calls the earth a worthless state of confusion in Genesis 1:2, and it clearly implies that something occurred to cause it to become this way. The earth is described in Genesis 1:2 as a place that is a wasteland, an uninhabitable planet, an empty place without any organization. To be “formless” and “void” you have to agree that the earth is not a livable place. Then you can clearly see that God says in Isaiah this is not how it was created in the beginning. So now we have a problem, we can see that many people have attempted to teach that the earth and the universe is only 6000 years old, but God is telling us some very different things in the Bible. We have to interpret the Bible using the Bible to get an accurate understanding of what it actually means. Only by interpreting the Bible correctly can we ever attempt to agree with true science. We can see that God is the creator and caused all time and matter to have a beginning. In Genesis 1:1 God created these things to be livable and inhabitable, but by reading Genesis 1:2 we can clearly see that the earth is not inhabitable so we have to conclude that something happened to destroy the earth and the livable organized systems that God had originally created. That is why we see in Genesis 1 the reestablishment of the organized systems of our current world. By God recreating the world, we have a place that is again livable. I recently had a man discount this verse because he claimed that after God’s 6 days of creation the earth was created inhabitable and thus he explained away what is stated in the Bible using his human reasoning. This same man when confronted on another question said God created the universe with the appearance of age fully mature. That logic is a contradictory position of two different ways to explain why the Bible says what it does to justify a young earth theory. On one had he said the stars were created mature and on the other hand the earth was created without from and became mature or inhabitable. This is clearly contradictory to what God says in Isaiah. God specifically says I never create anything without form and since the earth starts out without form you must conclude God did not create it then. Do you see the problem? 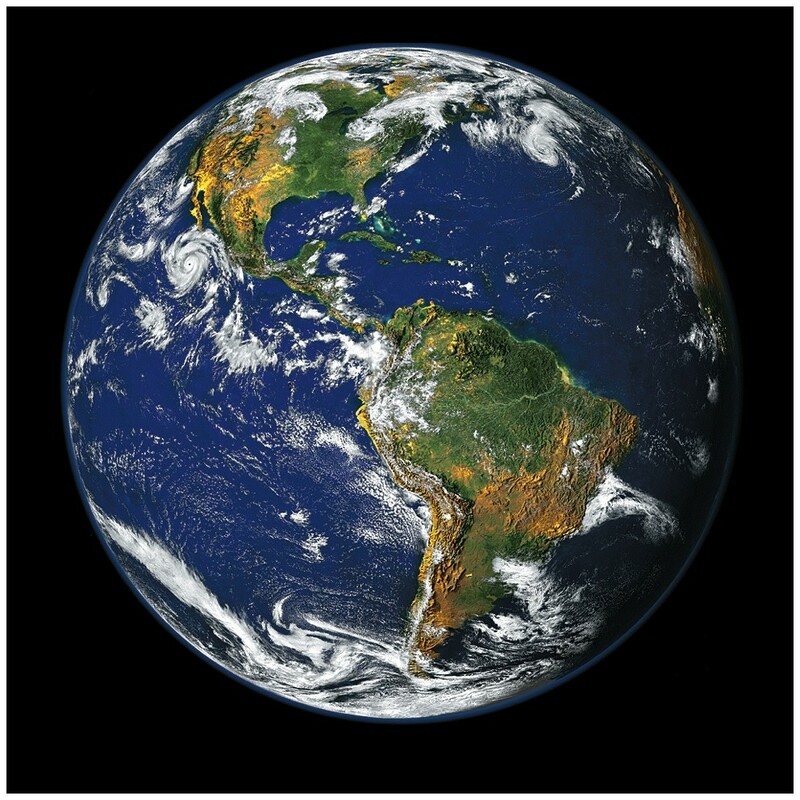 Genesis 1:1 says God did create the earth and Genesis 1:2 says it was without form so something else had to occur to change the earth from an inhabited starting point to an unimhabitable mess. God would not have created something from chaos by starting it out as something in a state of confusion and then changing it into what He intended in the first place. Everytime God said something during creation in Genesis 1 it occurred just exactly like He said. There were no transitional periods of evolution occuring. God spoke and there it was fully complete. If God would have said earth be, the earth would have been created and formed in its fully mature state as designed. Let’s think about what Genesis 1 actually says. Many have tried to establish the 6 days of creation in Genesis 1 as being the beginning of all time and matter of our universe. But, if you look at the chapter carefully, using other Bible verses that we have already learned about, that everything was made by the Word of God, we can begin to see what really happened. Nowhere in chapter 1 of Genesis does God ever say “Let there be Space!”, “Let There Be Stars”, “Let There Be Earth” or “Let There Be Time”. These are all implied in Genesis 1:1, but never stated explicitly. However, approximately 7 times in the chapter God does say “Let there be…” something and it comes forth either into existence or back into prominence. You see on day 4 of creation it could be wrongly assumed that the Sun and the moon are created, but God only uses them as a prophetic statement of information for the coming of Jesus Christ. You see the Sun already has to exist for the earth to exist. The earth revolves around the sun and not the other way around. The earth is not older than the sun. Both of these have to come into existence simultaneously as part of God’s original creation. Then there is the statement of the 3rd Day of creation, that God creates plants, grass, trees and they all come forth. Do you know that sun light is an absolute requirement for the existence of any plant life on our planet? If plants existed on Day 3, then the sun also existed on Day 3. Without the sun, the existence of life on this planet would be impossible. So we have to be smart enough to recognize when God speaks and when He does not speak and what He says on everyday of the recreation account in chapter 1 of Genesis. Let me give you another valid question found in Genesis 1. On day 1 of creation is a stated evening and morning day 1 of God’s timeline. Morning and evening are both sun based dependent concepts of the earth’s rotation around it. Because the earth rotates on its axis the sun appears to rise every morning and set every evening around the earth. Therefore the sun must exist on Day 1 for there to be any reference to these events. Without the sun’s existence we have no day or night, morning or evening nor do we have a calendar day. These are major problems that most young earth Bible teachers ignore or try to explain away using God’s sovereign power or ability to superceede natural laws that God has created. All earth time is based upon the existence of the sun. Without the sun we have no hours, days, weeks or years. Gen 9:1 And God blessed Noah and his sons, and said unto them, Be fruitful, and multiply, and replenish the earth. 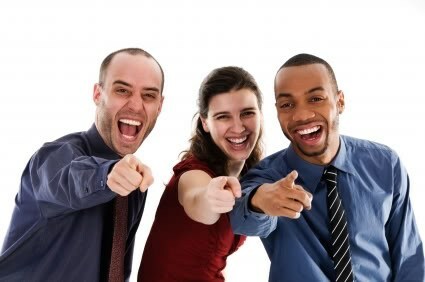 So if after the flood of Noah’s day God tells Noah to replenish the earth we can clearly see that God is saying the earth use to have more people in it and I expect it to be filled again. 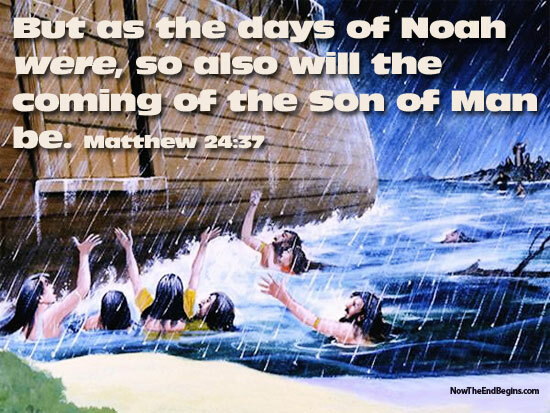 A vast number of people perished in the flood of Noah’s day. God is giving us a clue into the Genesis 1:2 flood by repeating this exact set of instructions to Noah that God first gave to Adam. God was telling Adam that the world use to be covered with people, cities, organized inhabitation and now we need to redo that again. This helps us to explain and understand many things that science has been reporting. This knowledge gets us several steps closer to agreeing with true science. Here is another potential major problem and conflict that modern Bible teachers and scientists have attempted to explain away with a more recent flood event theory ignoring the ancient flood Bible truth reality. You see there were two universal floods revealed to us in the Bible and many modern Bible teachers and scientists want to ignore the first flood in Genesis 1.2 in favor of a shorter duration flood event called Noah’s flood found in Genesis 7. You understand that since we are not told the duration of the flood event of Genesis 1:2 it could have been a flood of millions or even billions of years. Because I do not know how long it was I will not speculate to the given duration of time that occurred. However we do very clearly know how long Noah’s flood was and when it started exactly because God does give us this information in detail. There was 1656 years after the creation of Adam when the flood of Noah occurred and came upon the earth after it rained for 40 days a 40 nights (Gen 7:12). We know this by calculating the ages of every man from Adam to Noah and then reading that the flood came when Noah was 600 years old (Gen 7:11) and his triplet sons were 100 years old. Now according to Genesis 7:24, the flood waters during Noah’s flood prevailed on the earth for only 150 days and not many years. This 150 day flood is what many ignorant modern scientists say caused the fossil record in the earth’s crust, all of the earth’s geological layers, water landscape formations and the fossil fuel layers miles beneath the surface of planet. That is some very creative science in my estimation that all of this formed in a flood that lasted a very short duration and less than 4500 years from present human time. People want you to believe that and these are baseless theories that are more imaginative than evolutionist’s theories. 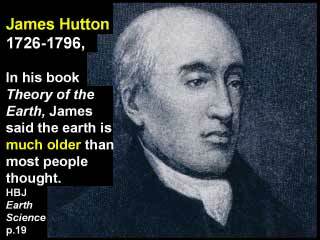 There was a geologist named James Hutton that observed and studied the earth nearly 300 years ago and he came up with a theory then that many have said is the basis for modern geological science. I have included exerts of his writings below and you should read them with the knowledge of both floods in your mind and then try to determine which flood fits the description of his observations more clearly from the Bible record given to us. If you are open you should observe that only one flood event is more accurately described from the evidence presented in the earth’s layers. Lastly, That while the present land was forming at the bottom of the ocean, the former land maintained plants and animals; at least the sea was than inhabited by animals, in a similar manner as it is at present. I read this theory and thought this was more the description of the conditions found in Genesis 1 and never Genesis 7. Nowhere in Noah’s flood does God separate water from water and cause the earth to rise above the level of the seas as He does in Genesis 1:6. While I do not agree with every word that James Hutton wrote in his theory it has many things that are clearly important to understand in light of the evidence given to us in the Bible. In the article that read about him it said this; he was more interested in the contemplation of the truth than he was in the praise of discovering it. Why are Christians today not following his example of searching for the truth? No, they are mostly searching for evidence to support their theories and this is fallacy and a misdirected effort to nowhere. I’m going to say this one more time; true science and true Bible interpretation will always agree because both were created by the same Author God. I have just shown you significant evidence found in the Bible for the existence of a inhabited world prior to our world. This world would have had inhabitants, animals, cities, and other organized structure. I do not know how advanced or how primitive this civilization was. I do not know if the people were human beings like us, or more like angels. I would guess that this world was very primitive, but yet later I will show you verses that seem to imply some advancement in culture and organization. This information does help to explain dinosaurs and the fossil records that would indicate an old earth. Many Bible teachers have great difficulty trying to come up with a logical reasoning of where the dinosaurs went in the last 6000 years? Perhaps they just didn’t fit on the ark of Noah’s day? However, once you begin to understand that the earth is very old and that there existed an older civilization on this planet then you can begin to understand the Bible creation and how it fits with science. In this world that existed prior to ours, God declares that it was utterly destroyed, nothing was left from it and we can see this in Genesis 1:2 as being the state of our planet and the basis for God’s recreation in the remaining verses of Genesis chapter 1. I have heard some Bible teachers who claim a young earth say that dinosaurs were here with man at the same time. They have found fossils that include dinosaur footprints with human like foot prints inside of them. They would have had to exist together in order for the fossil to form and harden and preserve them for us to see. However, these Bible teachers have simply discovered evidence for the world that was and not the world that is. They prove nothing and still do not have an answer for where did the dinosaurs go in the last 6000 years. There must have been a tremendous number of dinosaurs, plants and other animals on our planet based upon the amount of fossil fuel we have beneath our surface. Oil and gas came as a result of a large biological decomposition of living things. How did these dead biological things get to be so deep beneath the surface of our planet? If you consider that the earth was completely destroyed in Genesis 1:2 and covered with water completely so that no life could exist you can begin to understand where these fossil fuels came from. Otherwise you have great difficulty in coming up with a young earth answer to the problem. God does not tell us how long the earth was covered in water in Genesis 1:2. It could be a few days or millions of years. Genesis 1:1 and 1:2 do not have any time periods specifically attached to them. After these two verses God starts talking of the 6 days of the earth’s recreation. But, before that there is no time table mentioned. Because it does not say we would be foolish to guess without either a specific Bible verse or some very strong scientific evidence. In my next blog I will show you further scriptures that speak of directly of this world that was. If you would like to continue reading this series you can go to “Part 4“. Bible Creation Revealed! Pt 2 – Introduction to the Foundation of the World! (Rev 1.6) This is now Part 2 of a series of advanced lessons on Bible creation. If you have not read from the beginning, I would recommend that you go back and start with Part 1. Today, I want to introduce you to a potential new Bible concept. Maybe this is something that will be totally new to you or maybe not. In my last lesson I talked about the universe having a starting point with the origination of both time and all matter through the spoken Word of God. I basically tried to teach you that we do not know when this event occurred based upon the evidence given to us in the Bible. You cannot find the words “God said Let there be the universe and Let there be the earth in the Bible anywhere”. Since these events and creative words are not included in the Bible then we must conclude that God omitted them for a purpose and the rest of Genesis 1 is a separate event. Today, I want to introduce you to a new concept called the “Foundation of the World”. I think many Bible teachers have jumped to the erroneous conclusion that the “Foundation of the World” and the “Beginning” are one in the same events and that they occurred at the exact same time. But, I think you should reconsider that thought and try to see what else that the Bible actually has to say about both of these separate unique realities. After studying the Bible on the subject, I am convinced that they are two completely different historical events within the timeline of creation. Let me ask you a simple question that has a not so simple answer. Why would God refer to the same event in the Bible using different titles, names, descriptions or characteristics? If you have ever studied the Bible you should understand that this is a common technique used by God throughout the Bible. God, calls the same thing, by many different titles, names, descriptions, symbols and other identifying characteristics for some unkown and unstated reason. The net result of this technique is that it makes it very difficult for anyone to see what God is really talking about. It also makes it very difficult to associate them together and to relate them to each other correctly. You many times find yourself asking “Is it the same thing, or is it a different thing?” How can we tell if two different named things are the same thing or different things? What if there are two or three different named things, events, times or people and man thinks they are all the same? Again it makes it very difficult for us to figure out when God is talking about the same thing and when He is not. So here is our challenge for the day. Is the “foundation of the earth”, the “foundation of the world” and the “beginning” all the exact same events within time, just called by different names or are they just God’s way of describing completely different events? Since we have already looked at verses about the beginning, let’s start today by looking at scriptures in the Old Testament that speak of a “foundation”. Exo 9:18 Behold, to morrow about this time I will cause it to rain a very grievous hail, such as hath not been in Egypt since the foundation thereof even until now. Psa 18:15 Then the channels of waters were seen, and the foundations of the world were discovered at thy rebuke, O LORD, at the blast of the breath of thy nostrils. These are just a few of the examples of verses found in the Bible that speak about the “foundation of the earth”, “the foundation of the world” and just the “foundation” in terms of an architectural building process. I hope you understand how houses are built. 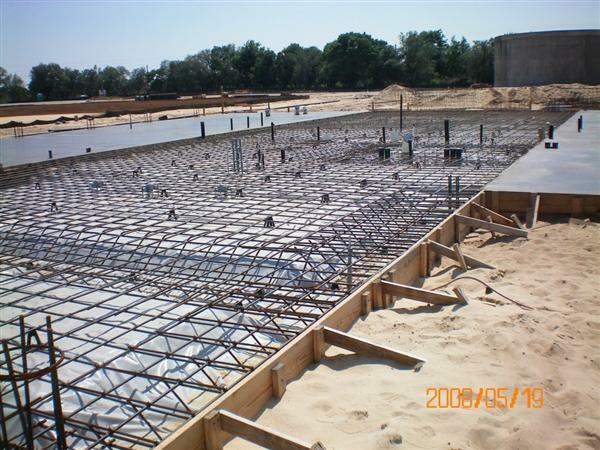 A laid foundation is always the beginning of a building process that implies there will come an ending to the process later in the future. When God provides us information that the earth and the world had a foundation, it means that they also have implied endings. Furthermore, when God’s builds one building foundation, God is also implying that He can build another building foundation and another and another. What do people do on the earth? If they don’t like an old building, they tear it down and start over to build a new one. This is a Godly principle and characteristic work that man learned from God. You need to understand what I just said, it was very important. So we need to go through the Bible now and see if the “beginning” and the “foundation of the world” are the same events. Jesus is described as the God who speaks things that were hidden from man and Satan since the “Foundation of the World”. This Greek word translated as “foundation” can also mean “conception” or to “conceive”. This is of course a term that would result in a pregnancy in a natural woman. The next word to inspect is the Greek word “kosmos” which is translated as “world” in this verse. This word from the Strong’s means “an orderly arrangement“. Anything that has this characteristic of a “kosmos” contains organized structure that is free from chaos. I want you to keep this word in your mind as we continue to discuss the chaos found in Genesis 1:2. Was the world an orderly arrangement in Genesis 1:2 or was it a ball of confusion, destrution and chaos? Do you understand what an orderly arrangement means? Look at my picture and see how the blocks are arranged in an orderly fashion and this is how the world was created according to God. That is a major Bible clue that God is giving us to correctly interpret the creation account found in Genesis. I have had some young earth theorists try to tell me that just because the eart was chaos in Genesis 1:2 it ends up as an organized structure by the end of the chapter and thus we are just observing God’s work methods to create our world. However, I want you to go back and reread Genesis 1 again and you tell me if you ever see God creating any transitional works. Does God not look at the darkness and say light be and light was in Genesis 1:3. There is no transitional phases of darkness to light. What God says happens exactly as stated. Do you see the major problem developing with a young earth theory? God would have never created the earth in a chaotic format to begin with. God is not stupid He know exactly what He wanted and He would have said earth be and there the earth would be formed exactly as envisioned in the mind of God. This is another key reason why the young earth theory is full of holes. God never in Genesis 1, not one time says “earth be” and the “earth was”. Uh oh? That is a problem isn’t it? If earth is defined to be dry land as I showed you by God’s definition in Genesis 1:10 then there is no mention of the earth being created other than the reference of Genesis 1:1 that said this occured sometime in the beginning. I have taught you that the Bible says the worlds were formed by the Word of God. Since we have no recorded words of God in Genesis 1:1 of God creating the earth we must conclude an implied stated reality that God said “earth be” somewher back in the time of Genesis 1:1. Then we must also conclude sometime after Genesis 1:2 God has to recreate the dry land again by dividing the waters because something happened to cause the chaos. I know this is proably some very new things that you have never heard before, but don’t throw them away until you confirm that is really not what the Bible says. For now just keep studying and reading. Heb 9:26 For then must he often have suffered since the foundation of the world: but now once in the end of the world hath he appeared to put away sin by the sacrifice of himself. This is a great verse to examine more closely. It actually has two different Greek words that are both translated as “world”. The first Greek word translated as “world” is kosmos again and it is still defined to be an “An Orderly Arrangement”, but the second Greek word translated to “world” is aion and it means “an age”. Here is an example of why English translations suffer grealty. An age is representative of a period of time. 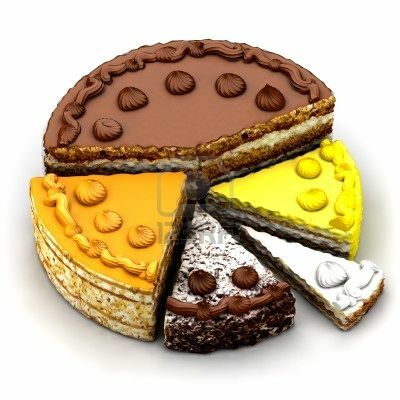 It almost never is used to describe all of time, but rather only a specific slice of the whole time pie. You could say that an “age” is a piece of the pie and not the entire pie. You can see this by science referring to the “Ice Age”, as a time period in past history where ice covered the majority of the earth. Knowing this we can derive some implied meanings to the term given to us as the “end of the world”. The “end of the world” in this verse is referring to the termination of a slice of the allotted time period and not the end of all time. I want you to grasp this concept because it is significantly important. This verse is referring us to the end of our current world, but that is certainly not the end of all time because we know reading later in Revelation that there will exist a time period of 1000 year where Christ will rule on the earth and then the new heaven and the new earth events take place and that is when time ceases. In other words we still have a lot more we need to learn. You can see some very complex works of Christ being described in this verse in Hebrews 9:26. It declares that Jesus did not come to the earth in the beginning of the current world (age), because He would have had to offer Himself repeatedly for the sins of mankind. But, then it makes a statement that is also very difficult to comprehend. If the world (age) had a beginning, then it is also logical to conclude it to have a middle and an end portion. Like in any natural building project, the foundation is laid first and the roof is one of the last exterior parts of a building to be built. So as in every building project, it has a beginning, a middle and an end. This verse says that Jesus came nearer to the end of the world, so that he would only have to offer one sacrifice for all sin. So how can you say Jesus came at the end, when it has been close to 2000 years since He was here and died and was raised from the dead? To us and our perspective of time 2000 years is a very long time period, but is this how God views it? To understand the Bible correctly many times it takes a shift in natural perspectives to a spiritual perspective to see things as God sees them. Since we can mathematically calculate that it has been approximately 6000 years since Adam was placed on the earth and we know that Jesus came to the earth nearly 2000 years ago and that God said that this was near the end, we can subtract 2000 from 6000 and get 4000. Using this simple logic to calculate time periods, what would have happened if Jesus came in the year 2000, God would have been able to say that Jesus came near the beginning of the world (age). If Jesus would have come in the year 3000 it would be in the middle of our world’s history. But since Jesus came to the earth at year 4000, God calls this nearer to the end of the world (age). Think about that for a while and let it sink in and you will soon understand what I’m trying to say. According to young earth theologians all time has been 6000 years since the beginning of creation and here is the problem that starts to emerge. Why did God call it the end of the age and not just the end. God does know the difference between an age and the begining of all time why does God use different words to describe these events? Here is another witness to the fact that during the time of the early church, God considered this to be near the end. If that was near the end back then, how close do you think we are now to the end? I think we can begin to see we need to change our perspective of what time is to God. Again we see another verse that claims the early church was within the time that was near the end. Here in this verse in Hebrews there is a reference to a coming aion (age) that has not yet started. Here is a new concept that is given to us that we are in an aion (age) that is coming to end and there is another aion (age) that will follow that is not the same aion (age) that we are experiencing. The Greek word translated as “world” is the exact same word “aion” that we have already seen before. God is teaching you a brand new important concept about ages in the spiritual realm. If you can have one slice of the pie God is inferring there is potentially many more slices in the pie of time. I have probably gone long enough in this lesson. Today I introduced you to two new concepts called the “foundation of the world” and these were the kosmos and the aion. Are both of these the same as the beginning? Are there any other worlds (kosmos or aion) either before ours or after our current world described to us in the Bible? I also showed you scriptures that prophesies an end of time. An end always implies there was a beginning of time. A coming ending of the kosmos and aion also implies there will be another new beginning. We have only scratched the surface to what we need to learn on this subject so we will continue to discuss more Bible verses that reveal the definition of what a world is in relation to the beginning in my next lesson. Bible Creation Revealed! Pt 1 The Introduction to Basic Bible Concepts! (Ver 3.3) This will be an advanced Bible study of creation. This study will involve an in depth analysis of the information given to us by God from within the pages of the Bible concerning the events surrounding the creation of our universe and our world. And those are two different events in our history as we will learn. This series may or may not be what you currently believe to have occurred, but it will be what the Bible says, if you can see it and understand it. I have been criticized because I pull verses from all over the Bible and put them together in a logical way that helps to reveal their hidden meanings. I did not write the Bible so I cannot help to explain to you why the clues found in the Bible are in such widely dispersed random patterns. I cannot fully explain why a single verse of information found in John, Isaiah or Jeremiah can reveal something that was hidden in the first chapter of Genesis and these verses were written by God’s prophets and even new testament writers hundreds or thousands of years later. Because people do not understand how God wrote the Bible with an enumerable number of hidden facts and clues, they simply criticize and like to call things heretical when they do not understand them or just because they are something new that they have never heard before. Coming into this lesson with a preconceived prejudice will cause you to close your spiritual eyes and ears to anything that I say. But, that of course is an old religious spirit that got the Jews in trouble when Jesus walked among them, and they killed him for no good reason. 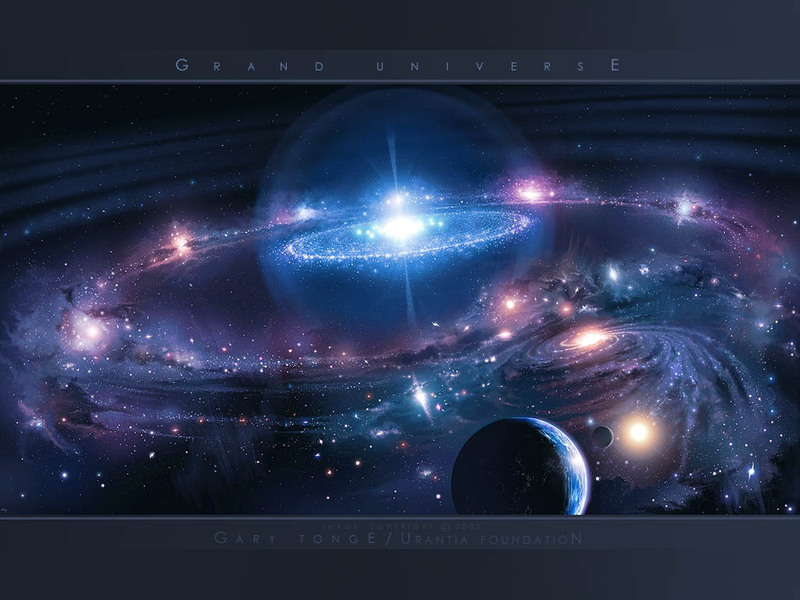 There is a major debate raging in the Body of Christ about the age of the universe. Because science has declared the universe to be billions of years old, Christians have suddenly determined they need to believe in a young earth and universe and they have gathered their own scientists to counter what they view as a naturalistic perspective for the existence of all matter. 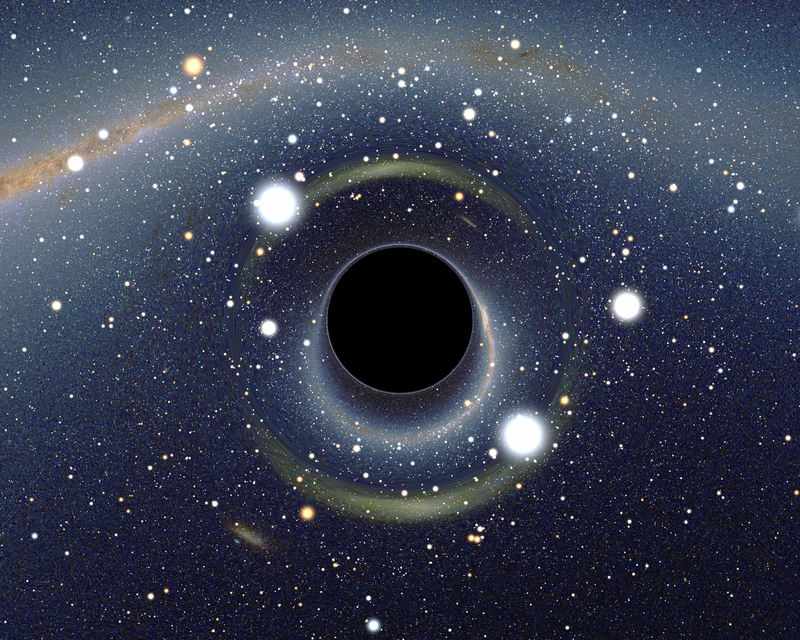 The young earth proponents have developed a semi-convincing theory but it is really full of holes not unlike the evolutionist’s theory that is equally full of holes. As you can tell I do not endorse either theory. I am a proponent of letting the Bible interpret the Bible and that will be my goal in this series of lessons. What we need to do is start out by asking ourself is my God a deceiver? I asked some young earth believers this question and they ignore it and explained it away. What is deception? According to the Bible deception is appearing to be what you are not. You can find this in the story of Jacob in the book of Genesis when he dressed up like his brother Esau and went in to get his brother’s blessing from his father Isaac. Jacob was fearful of being called a deceiver if his father discovered has acts deception. Wow is that a lesson in itself. Again in another story of Genesis we find the deception of Tamar who dresses up like a prostitute to make Judah give her what was promised to her. In both of these stories deception was used by taking on the appearance of what they were not in order to gain what they felt they deserved. Ok, what do these stories have to do with creation? The problem with the young earth theory is that the scientists in the world can clearly see that light takes 2.5 million light years to reach earth from the galaxy of Andromeda. When a Bible teacher comes and says that the earth and the universe are only 6000 years old, they have in effect made God to be a liar and a masterful deceiver. They claim that God created something that looks very old but that is actually very young. That is an act of clear deception no matter how you want to slice it. If the earth is not old then God has deceived many people into believing it is. That is a major problem upon the reflection of the character of God, the nature of God, the love of God, the truth of God and I could go on and on. Rather than ignore this problem like Christians want to do, I’m going to address the problem in this series to see if God solves it in His Word. If the universe has the appearance of millions or even billions of years and it is only 6000 years old God has deceived a tremendous number of people. Is that your God because that is not my God! 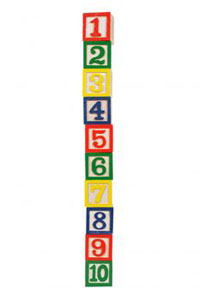 The young earth theorists like to explain this by saying that God created the world and the universe in a mature state. They have concluded that creating light rays that take on the appearance of age is not and impossible feat for an omnipotent God. You know I understand that logic, God is certainly omniscient and omnipotent and He is certainly able to do anything. But, just because God is able to do anything does not mean that God has done any of these things that people give Him credit for doing. We must find Bible verses that confirm our beliefs or we will find our self just believing in someone’s opinion. As a foundation for this mature creation belief my young earth theorists have stated that Adam was created a mature man and thus this helps us with our beliefs of a mature universe creation. They have also further concluded that the trees were created as mature entities. They have further concluded that all animals originated as mature entities. You know I absolutely agree with at least part of their reasoning for the necessity of maturity. You see if God would have created Adam as a newborn baby he would have died and never survived without a mother. Therefore, God chose by His sovereign will to create a mature man, a mature woman along with mature birds, fish and animals. Here is where their theory begins to fall apart if you really start to contempplate that way of thinking. Why didn’t God create a mature earth in Genesis 1:1 instead of an uninhabitable chaotic earth that had to be changed into an inhabitable planet by the end of the chapter in order to support life? You can clearly see that there was no life on the earth in Genesis 1:2 and then at the end of the chapter there was organized structured inhabitation. Why didn’t God create it the way that He wanted it to begin with? What we are going to find out by studying the Bible is that God did create it this way and something happened to destroy it. You can again see that true Bible interpretation and true science will always agree. The Bible recorded that the earth was a spherical circle long before man could prove the earth was not flat. Early religious leaders would excommunicate scientist who thought the world was round and not the center of the universe. They had in their minds how it ought to be and if anyone disagreed they would reject them. Who was right back then? We are experiencing a very similar behavior in parts of the church today. Many claim the earth to be only 6000 years old and scientist today say the complete opposite. Knowing that the light that we see from distant stars took much longer than 6000 years to even reach us to see, who looks foolish. How can you attempt to reach a man with the salvation message who obviously knows more than you do? Again we see a reference to the an expanding heavens. This is the same word that means to stretch forth and to spread outwardly. This is clearly words that were written down for our benefit to see and understand the nature of creation and its harmony with the true scientific observation and study of many. There are many Bible verses that can be found that say things that only a creator God could have written. In ancient times, many men believed that the world was held up by a god named Atlas and on his shoulders the world revolved. This was clearly a fantasy attempt to explain what they did not understand about the power of God to create the gravitational planetary and solar system that we live within. When the Bible declares that the earth hangs upon nothing within the time space continuum it clearly was written by someone who knew more than any man in the past could imagine or make up. This verse is clearly factually accurate based upon scientific observations of men and it was written in the oldest book of the Bible. You cannot deny that these facts are amazing. 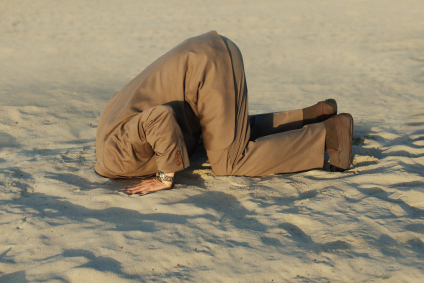 Now you can either be an ostrich Christian and bury your head into the ground or you can look and see if the Bible also says anything that will match the well-known scientific observations that are being taught today. What we must embrace as true Christians is the fact that true science and the true interpretation of the Bible will always agree. You might ask me, why do these have to agree? Because God created both of them and God does not make any mistakes nor does He ever contradict Himself. So what God says in the Bible must match what we find scientifically from what God has created and vice versa. Too many times I have seen preachers and theologians teach something that is 180 degrees opposite to what science has reported. I know that either one of these two positions are wrong and potentially both are incorrect. For example, many scientist embrace a theory of evolution for the existence of the human race and all living things in our world. However, I know this directly contradicts the Bible and so the theory of evolution is man’s attempt to explain away the existence of a God as a creator. This is an example of Bible teachers being right and ignorant scientists being wrong. However, I have also heard many Bible teachers teach that the earth is only 6000 years old and scientist have estimated the age of the earth to be in the billions of years. There is a major difference between these two positions again and this time I tend to agree more with the scientists and not the ignorant Bible teachers. Nowhere in the Bible does it say that the earth is only 6000 years old! Nowhere in the Bible does it say that the earth was created 6000 years ago! If you think it does, you are ignoring a lot of scriptures that says otherwise. This is a religious man’s attempt to prove a thoery of young creation by not reading what the Bible actually says about God’s creation. We must make true science and true Bible interpretation agree or we will be viewed as ignorant men and women. So I have given you two examples of the debate between Bible vs. Science where each side is right one time and wrong one time. So let’s find some more scriptures that speak of the existence of a beginning and for now we won’t worry about when this occurred. In this verse found in Isaiah we can see that God is clearly telling us of a starting point. Two direct references are established. The beginning and the foundation of the earth. The foundation of the earth would imply the beginning of our planet. A foundation would also imply a structure that holds everything else together. So who created this structure and this system of the time and space fabric that holds it all together? All things were made by Him! Who is Him? It is the Word of God! God gives us some amazing information to how things were created in the world around us. By God speaking, things suddenly appeared. Do you understand that things were not created from nothing? I’ve heard preachers claim that everything appeared from nothing, in other words nothing became substance and now exists in the physical dimension of time. But, this is not what the Bible says happened and I believe we should become very picky to see exactly what God is revealing to us in the Bible. We have to understand what this verse is saying. It implies that all of creation was accomplished by God’s Words. It does not say that the things that we can see came from nothing. It actually technically says that the things that we can see came from things that we can’t see. Have you ever seen anyone speak? I know you can see their mouths move, but, you do not actually see any words coming out of their mouths do you? These sound waves are things that you cannot see with your natural eyes. The voice of God caused all matter that we can see to exist in the natural realm. Sound waves from God are the basis of all of creation. In this verse the Greek word translated as “worlds” comes from “aion” which means “an age”. This word refers to a span of time, either in the past, the present or the future. Time can always be viewed within one of these three descriptions, even though Einstein claimed this to be a convincing illusion. Einstein believed that all time occurs simultaneously, past, present and future. But our view of this illusion is that we have all had a past, we live in the present now and tomorrow is our future. In my next blog on creation I will expand this word for “worlds” and explore it with additional scriptures. But, for now let’s continue to look at the beginning of creation. The verse in John 1:3 says that nothing that we can see came about by evolution or by accident. This verse implies an intelligent design by a very highly intelligent creator God. I have heard some scientists who have tried to analyze and prove the most rudimentary makeup of the elements in our physical world and heard what some now are saying. These scientist have split atoms, and examined parts and components of the most minute levels that they can measure and observe, and guess what they have said makes up every atom that we see in this universe? Sound waves! I have actually heard some report that it appears that sounds hold all things together. Did you know that this is what the Bible actually says? This verse in Colossians again states that Jesus Christ existed before all things that we can see in our world. We can again conclude that this means there was a beginning. Jesus Christ was called the Word of God in John and other places in the Bible and we can see that in this verse in Colossians that Jesus Christ causes everything that we see to exist. This Greek word that is translated as “consist” in this verse means “to set together” or “constitute”. This verse is telling us that the world and the universe is held together with God’s Words. God’s words are the rudimentary component to everything that we can see around us. Let’s discover an additional verse concerning God’s Word holding things together. In this verse in Hebrews we can see that God is revealing to us the source of all of His power. This verse is primarily about Jesus Christ, but it also says that God is causing all things to be held together by His Words of Power. God’s Word is the source of all creation and everything exists because of sounds that came out of God’s mouth. These sounds represents God’s power and they surround us in everything that we can see, touch, taste, smell, perceive and sense around us. Words created all of the universe that we can see. I hope you understand this concept, because it is a very important part of the Bible to know. This is now the third Bible verse that I have given you today in this lesson that states the earth and the universe had an observable origination point also known as a beginning. In this very first verse in Genesis, we can see clearly that God is again referred to as the creator of the things that we can now see. It very clearly says that there was a defined starting point of all matter and time. Now here is where Bible teachers start to get confused and make many wrong assumptions. They have concluded that because you can mathematically calculate the duration of time from Jesus backwards to Adam that the world is now only approximately 6000 years old. What they have done is assumed that Genesis 1:1 goes with the rest of the chapter in a relative short time sequence. However, they do err, because they ignore what this verse says and many other verses found in the Bible that shows us other information and clues to a much older history of creation. The same Hebrew word is given to us that we observed in Genesis 1:1 and it is again transalated as earth but this time God defines what the word earth means. God called the dry land earth and the water He called seas. Why is this so important? If you read Genesis 1:2 you will begin to discover why this is so controversially important. The planet as described by God in Genesis 1:2 is said to be fully covered in water. There is no dry land mentioned in verse 2. Since we understand and can read in Genesis 1:1 that God states explictiy the earth (dry land) was created in the beginning, we have a major contradiction that needs resolution in a young earth theory. This little detail is simply ignored by most young earth theorists because they cannot explain it. To ignore God’s definiton of the words forces them into inventing their own definitions and this is why they are so vastly confused. If God says “earth” is dry land, then earth is dry land and I refuse to call it anything different. I guess you are free to do what you want and that will be between you and God. Genesis 1:1 tells us clearly that there was a stated beginning and God created everything, but it did not say when this occurred. If you assume something and base your faith upon your assumption, most of the time you will be wrong. We must base what we believe only upon the scriptures found in the Bible and correctly put all of the clues together to see what God has been trying to show us. Unless you can find specific Bible verses to support your young earth theory, then I would reccomend you use wisdom and look for the truth. The Bible does not tell us anywhere the age of the universe and that is where Bible teachers start to fall into error. Teach only what the Bible says and quit guessing on what you think it means. I also started teaching you the imortance of getting God’s definitions to the words that are used in the Bible and this will greatly assist you in learning what they mean and what they say. So far we know from the Bible that there was a beginning of matter and time at some point in our past. We know that God created everything by speaking it into existence. But, we do not know when this occurred so please stop telling people that you do know. God Created Everything By His Word! The Universe had a point of Origin. We do not know when the beginning of Time and Matter occurred! God defines earth to be dry land! These are the basic concepts from Bible creation that you need to know for now! In my next blog I will talk about some new concepts and introduce you to some very new things to consider, but for now review what you have learned and go find more scriptures that talk about these 9 things that you learned today.